Recognizing the value of a unique business model and building upon the 40+ year heritage of the world’s leading brand in the growing weight management industry. 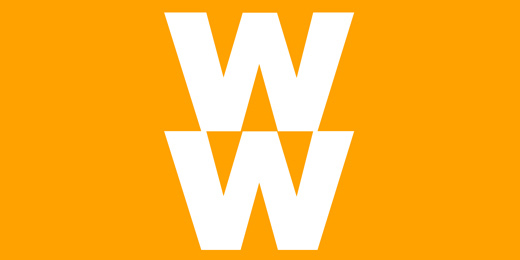 Weight Watchers International, Inc. (WWI) was founded in 1961 and was acquired by H.J. Heinz Company (Heinz) in 1978. Prior to its sale in 1999, the company generated a majority of its revenues through fees paid by its members when they attended weekly meetings. Weight Watchers® meeting membership grew until the early 90’s when US attendance began to decline until hitting bottom in the mid-90s. In 1997, the business began picking up again as the company introduced a new weight management system, the POINTS® plan. In 1999, as Weight Watchers was approaching its previous peak penetration levels from the late 80’s, Heinz decided to sell WWI while retaining a license for the Weight Watchers Smart Ones® frozen entrée business. From the outside, it looked like a cyclical business at its peak. Nonetheless, in September 1999, we won the auction for WWI with a purchase price of approximately $750 million (well in excess of Wall Street’s $500 million to $600 million expectations). Weight Watchers meetings were a tremendous business model with the unique combination of low fixed costs in a very seasonal industry, high margins and strong barriers to entry (e.g. its trained staff of leaders who had each reached their weight-loss goal with Weight Watchers). The dramatic downturn in US attendance during the early and mid-90s had been caused by the introduction of Jenny Craig-style pre-packaged meals into Weight Watchers meetings. This had run counter to WWI’s heritage of education and support leading members towards adopting a sensible and sustainable healthy lifestyle. Weight Watchers was cushioned from external shocks because of the loyalty of its customer base. Historical customer data analysis performed by the Invus team when WWI was acquired in 1999 showed that former members routinely and predictably returned to Weight Watchers when they needed its help and support. The introduction of the POINTS plan was a fundamental modernization of the Weight Watchers approach. Weight Watchers now had a flexible weight management system that could fit the busy lifestyles of its target customers. The growth from the POINTS plan was just beginning. Given Weight Watchers standing as a leading global brand in the weight loss arena, we saw an opportunity to transform the company from an orphan-subsidiary of a major food company to a stand-alone company that would aggressively pursue a series of transformational opportunities. Linda Huett, the Head of Weight Watchers UK where the POINTS plan had been developed, was an excellent candidate to lead all of WWI as a standalone company. The price per share in September 1999 was $2.13 per share as adjusted to reflect WWI's 2001 stock split. The company went public in 2001 at $24 per share.